Does anyone actually enjoy all of the endless assemblies, recitals and athletic events that their kids participate in? Merlin has never seen a club or team he doesn’t want to join, so my burden is particularly onerous. And it isn’t like there is just one debate or soccer game to celebrate the season; they happen week after week. But here is the thing: there are moms who attend all of it, every single game and performance. I have even seen moms sitting and watching practice as if the haven’t a care in the world. Are you kidding me? Who has time for that? The other day Kathleen Moriarty, the mother of that freckled little troll, Kevin, asked me why I hadn’t been to a single soccer game this year. Because I didn’t know that soccer games had begun yet, maybe? How am I supposed to keep track of everything? I guess Kathleen Moriarty is probably too busy not minding her own business to be a part of our book club again this year. Sorry, Kathleen. All full up. Since I am really a terrific mom, and because Cleia had a my grain, so Hot Yoga was cancelled at the last minute, Hummus and I were on the sidelines cheering our footy guy on this afternoon. I am not sure if we won or lost, but that really doesn’t matter, does it? Oh, hi Kathleen. Are those white sneakers you’re wearing new? This entry was posted in Sports and tagged Hot Yoga, Kathleen Moriarty, Merlin, mom of the year, my grain, soccer on October 2, 2015 by mythreeangles. Lah LEE your body be banging! Well, I just eat anything I want and hardly exercise, like a supermodel. 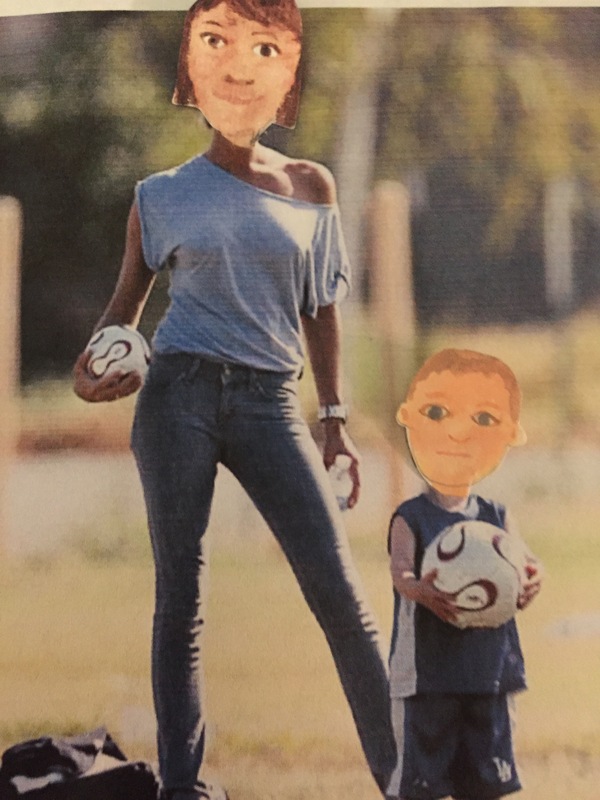 Soccer moms are able to sit through game after game because they do not possess your high intelligence, insatiable curiosity, and unlimited energy. Merlin is unlike the other kids because he’s your son. He doesn’t require helicopter parenting. It’s obvious from his achievements that you’re providing all that he needs. Exactly. I think he would be upset if I took the time away from “me” to spend it on “him”. Ugh! I hate going to those things too. So hot. So long. So boring. And all the yelling adults? No thank you. But if I don’t go, my husband does. I bet your hubby is a great soccer dad. Is he coaching? Nothing better than a man with a whistle. He goes to every game? How does he get his chores around the house done?